Half-Life 2: Episode One is the first of a series of stand-alone episodes based on HL2, the popular and acclaimed shooter epic. 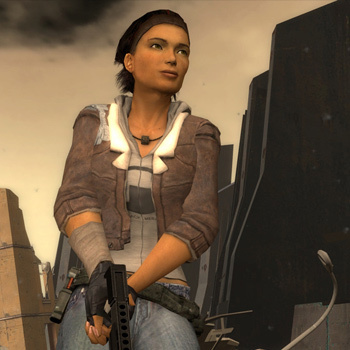 This episode takes place right after the events in HL2, and you and Alyx will flee from City 17, fighting against creatures who were previous blocked from enetering the city. The Citadel you assaulted in HL2 is tumbling into chaos, and this event will have catastrophic effects on the surrounding area, prompting your escape. Secondary characters Alyx and Dog will have a much more significant role in this follow-up.